If you haven’t already read the Introduction, please do so before jumping around to other sections. Since we want your shopping experience to be as rewarding as possible, please offer us feedback on how we can improve this documentation by using the Contact Us page. Before we start showing you how to use the Graphics Design Tool, let’s discuss some basic concepts. As with many graphics tools, the finished product will be composed of one or more “layers”. You may have a layer for a pre-designed border, a layer for text, and, possibly, a layer for an image. Some really complex plaques could have as may as five or more layers, for example, a plaque with two image layers and three text layers, one with text to the left of the left image, one with text between the two images, and one with text to the right of the right image. Think of these layers as panes of glass, each with one of the elements placed on it. Now, stack these panes of glass on top of each other. The total composite view that results is the current state of the development process. You are able to select any single layer and make changes to it without having to worry about damaging other layers. If the work on this layer causes unwanted overlap with any elements on other layers, simply make adjustments to the current layer or to the other layer to resolve the problem. All of the work is performed on what is called the Canvas. Think of this as a painter doing a landscape. Start by creating a layer for the sky. Add a layer for some clouds. Add a layer for the ground. Add a layer for trees, shrubbery, etc. Add a layer for patio furniture, etc. You get the picture. As you go through the development of your plaque, be sure to take advantage of the “Save” option, occasionally, to preserve your work up to this point. Also, be sure to Save when you are completely done. Tip: If you haven’t already created an account through the My Account option, you should do so before you begin. A lot of key information about your design is kept inside of your browser and in your cookies. Many people set their browser to clear cookies when it is closed. Whether the browser clears the cookies or you do so manually, picking up later, where you left off, may not be possible. Then, each time you return to continue working on your design, be sure to log back in, again. In the next image, we see what the Graphics Design Tool looks like when it is opened up for a new design. The example plaque is the large Black Marble. All of the plaques work the same as this set of examples. This is fairly straightforward. The Save and Load functions are what was mentioned in the Tip:, above. The large, black area, is your Canvas where you will add layers and manipulate them for size and location. If this pane opens up overlaying your canvas, you can move it out of the way by clicking and holding the left mouse key in the dark menu area (right mouse key, if you are a lefty and have set your mouse controls up for that) and dragging the pane to an area that is better. 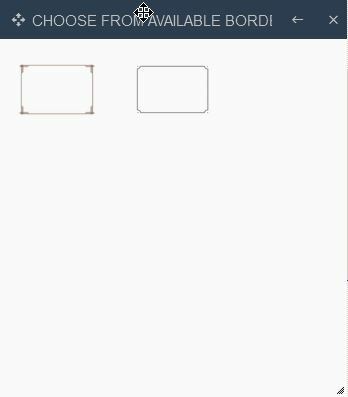 Clicking any of the three choices will add a layer for that choice. 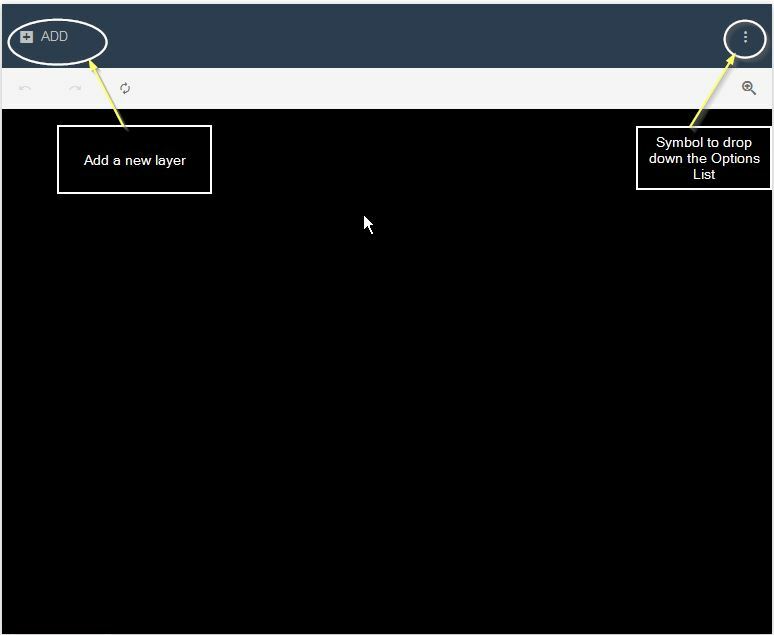 If you click on ADD YOUR OWN IMAGE, a file chooser window will open to allow you to select an image and put it in the layer. It is beyond the scope of this documentation to go into the details because the file chooser window and its look and behavior will be particular to your operating system. 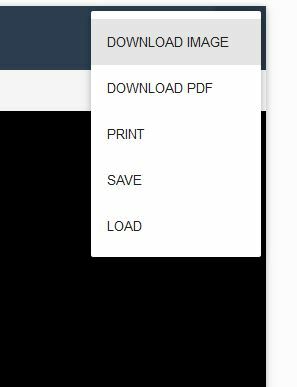 When the upload is complete, you can click and hold on the image to drag it to its proper location. If you need to resize the image to get it to fit, there is a size adjust arrow in the lower right corner of the image that can be used for resizing. It may be necessary to drag the image around to find the arrow, if the image is a bit large. Tip: Before you upload an image, you should do any cropping necessary to exclude unwanted areas. Also, since cameras currently in use provide very high resolution, you should resize the image. Some of these images will come to sizes like 36″ by 27″, for example. 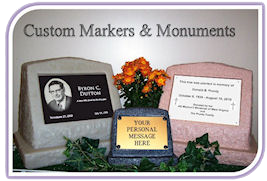 Remember, the plaque sizes are 4″ by 6″ and 6.5″ by 9.5″. There are a number of paid and open source packages available to provide cropping and resizing functions. PhotoShop and CorelDraw are examples of commercial products. IrfanView and Gimp are open source products. There are many others. To find candidates and get reviews and instructions, your favorite search engine will be your best friend. If you already have and like a product that you are using, by all means, go with that. 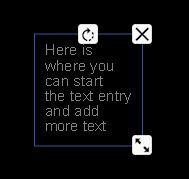 ADD YOUR OWN TEXT will open up a new pane that asks you to type in your text. Click the checkmark button when you are done. Don’t worry about the location, spacing, colors, fonts, etc. at this point. The appearance attributes will come next. For now, the text has default sizes, centered location and font. The text starts out like this as the default. 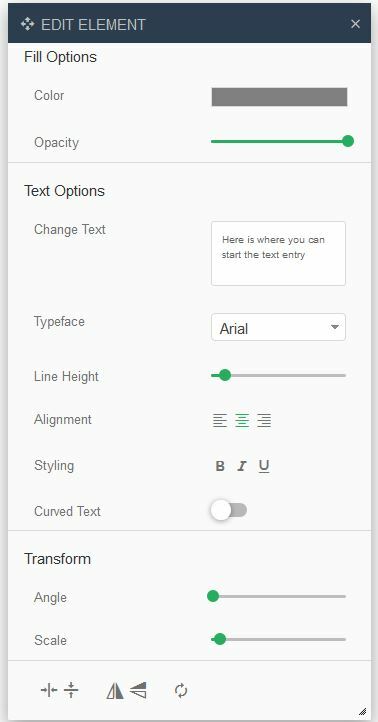 Click on the text to open the Edit Element pane. This may not open to a size this large. Simply use the right scroll bar to see each option or resize it with the lower, right resize arrow. Now, we will reformat the text, put it in place, and resize it. Obviously, the actual choices for alignment will dictated by the design you wish to create. 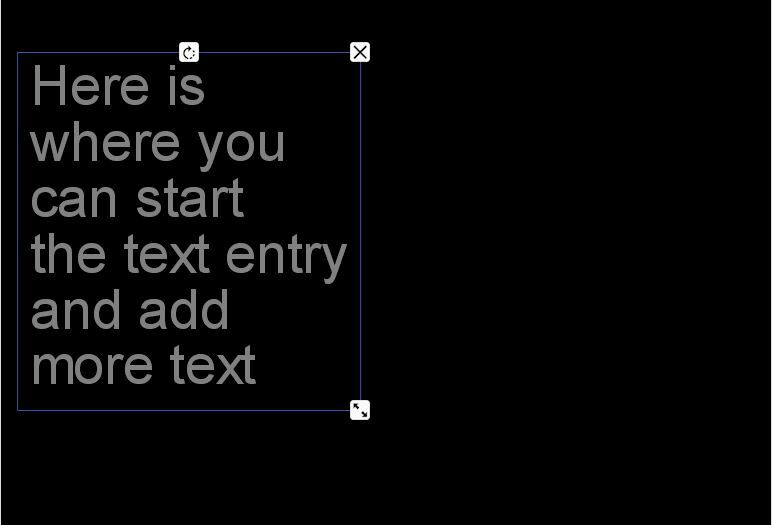 Now, we will break the text into multiple lines. For this example, we will place the text on the left, break it up and add some more text. We placed the cursor in front of “where”, “can”, and “the” and hit the Enter key to cause a carriage return. Then we typed in “and add more text” and broke that up. Now we will grab the whole text area, move it to the left side of the plaque and enlarge it with the resizing arrow in the lower, right corner of the text layer. This full canvas view shows the new size and location. Now the right side of the plaque is available for adding an image, if that has not already been done. 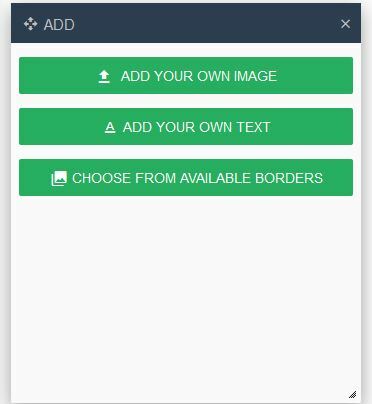 By clicking on the border of your choice, the border will be added, as a new layer, to your canvas. Tip: If you change your mind, click on the border or use the MANAGE LAYERS tab to highlight the border and click the “X” upper, right corner icon to delete that layer. There is one more thing to note about the borders. Although they are designed to be properly sized and placed to serve as a border for the entire plaque, you are free to shrink them and move them around just like any other image. 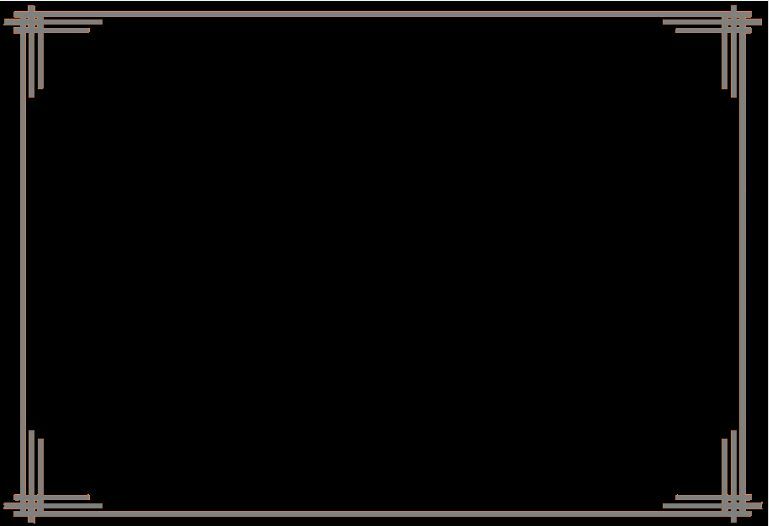 This feature may be used to place a border around any text or image layer, as well as, around the plaque as a whole. 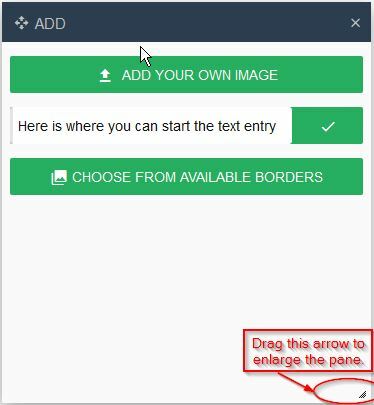 If you do intend to do this, just use the ADD, MANAGE LAYERS, and image manipulation tools as you would any other layer to select any border for sizing and position changes.